I could just stare at these paintings: Anne Boleyn by Frans Porbus the Younger and Elizabeth Tudor, her daughter, by William Scots. I discovered the one to the left in “Elizabeth & Mary – Cousins, Rivals, Queens” by Jane Dunn. A person could easily have mixed feelings about “our cousin” Anne Boleyn, but not her daughter. Not me, anyway. As a young girl she saw the women who loved her fall to the blade and went on to develop a backbone of steel. She knew when and how to reinvent herself as necessary. She is an inspiration. I haven’t posted in a while, I have been buried in books. Nothing I have read confirms that Sir Thomas Wyatt had an affair with Ann; it is clear that he loved her. 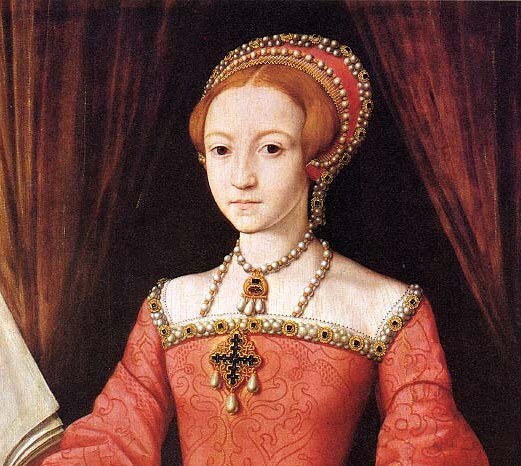 When Henry VIII let it be known that Anne was his, Sir Thomas started up with another – Elizabeth Darrel, who was Maid of Honor to Katherine of Aragon; Elizabeth was steadfast to the end and was in the queen’s will. There’s another lady worthy of respect – Katherine of Aragon. Elizabeth had three children by Sir Tom – one who died with his half-brother as a result of Wyatt’s Rebellion. So, Wyatt cousins … there are more of us than I thought. Burning questions? Oh, heck yeah. How did Sir Thomas feel about Katherine of Aragon? How did he genuinely feel about the king’s Great Matter? When (and why) did Cromwell develop such a deep affection for Sir Thomas? How did Sir Thomas maintain respect for a king who grew increasingly violent towards those he loved? How did he maintain relationships with friends who hated each other? THE BIG QUESTION: Why was Anne Boleyn so important to the Wyatts that – several generations after her death – George Wyatt would become her first biographer? Was it because she was a reformer, or was it more than that? So many mysteries, so little time. If anyone has clues – or has contact information for our esteemed “cousin” the Earl of Romney, let me know! Meanwhile, I’m workin’ on it as best I can. It seems so obvious to my eye, as a simple observer, that the first painting is not of Anne Boleyn but of her sister who survived her. 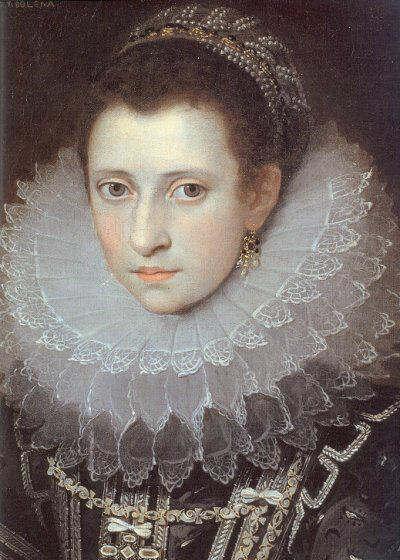 Anne was a fearless queen who died from and for her ambitions. There is so much fear in the eyes of this subject that would never come from a fearless queen who died a martyr on behalf of protestant religion.